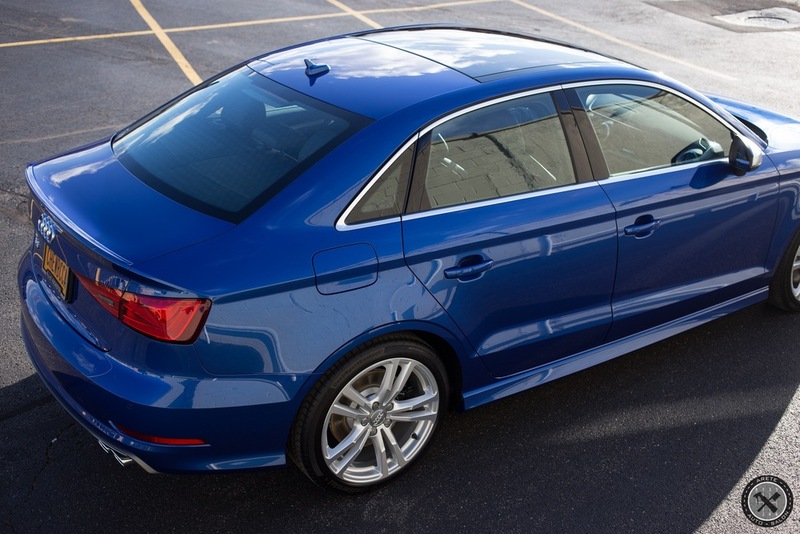 It's been quite the year and we are continually impressed with what CarPro's CQuartz suite of products has to offer with each passing month. 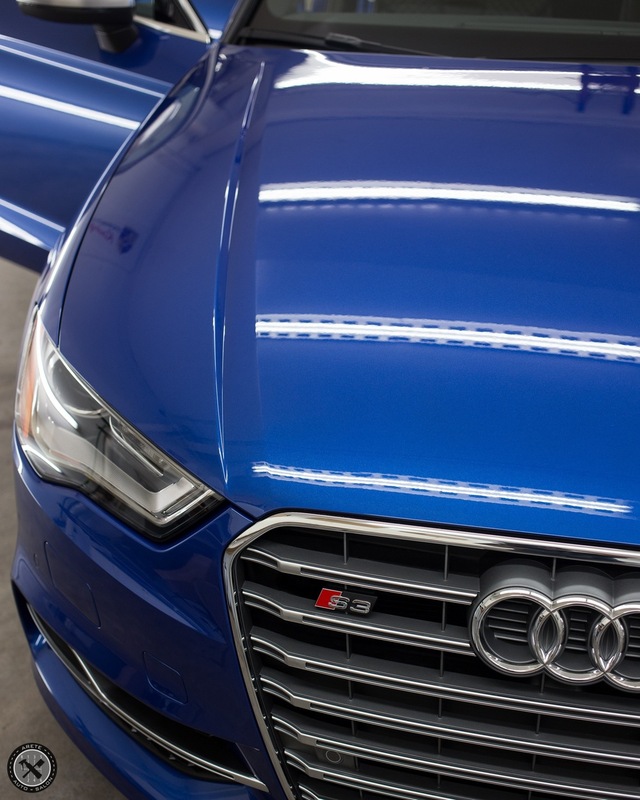 This particular S3 came off the truck into the hands of one of our owners who knew that the only product for his new Audi was CQuartz Finest coupled with CQuartz Leather to protect the very special diamond stitched Recaro seats its sporting from the factory. Here we share with you the stunning finished results! 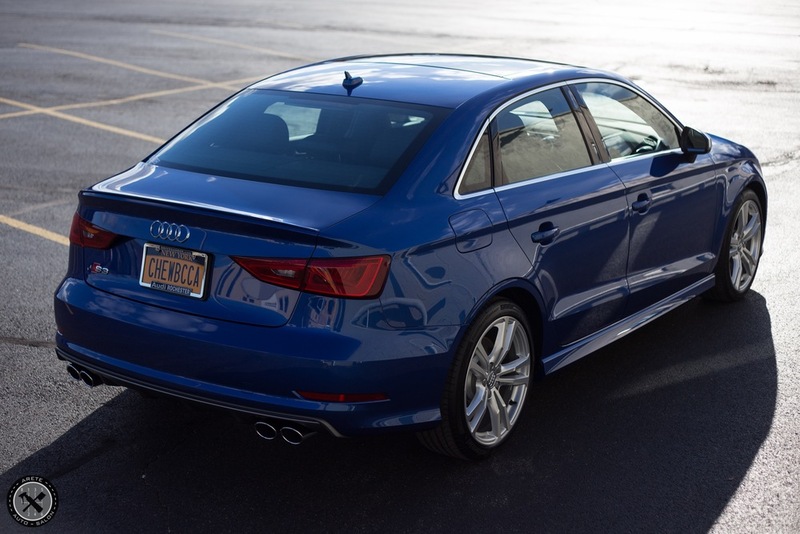 This Estoril blue example came from the dealer with few defects and we were able to create an ideal finish on which to stack 4 layers of CQuartz Finest on every exterior surface with a light single step of correction. 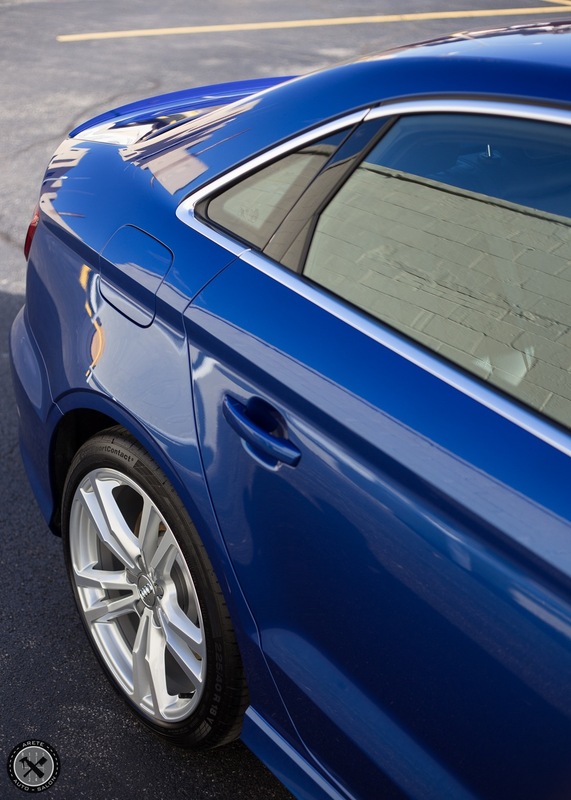 Our correction service had already brought out insane gloss while the two additional layers of Finest over our standard installation brought the vehicle to blinding levels. 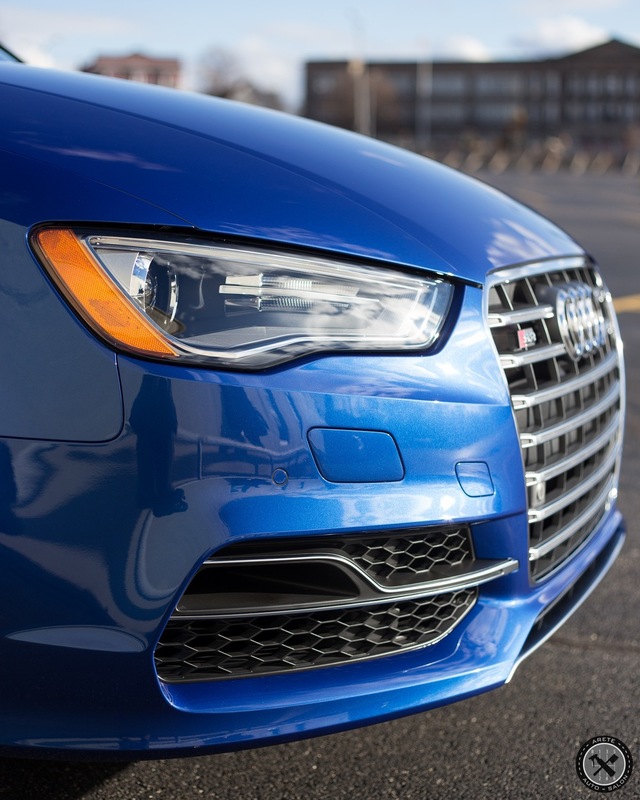 Not only does Finest deliver an impressive visual result it also serves to protect the vehicle for 2+ years from wash marring, environmental contamination (such as bird bombs), and UV damage all while delivering an incredible self-cleaning ability that extends to superior ease of maintenance. Insane gloss courtesy of 4 layers of CQuartz Finest. After the exterior portion of the service was complete we turned our attention to protecting the gorgeous, motorsport inspired Recaros with 3 layer of Cquartz Leather. 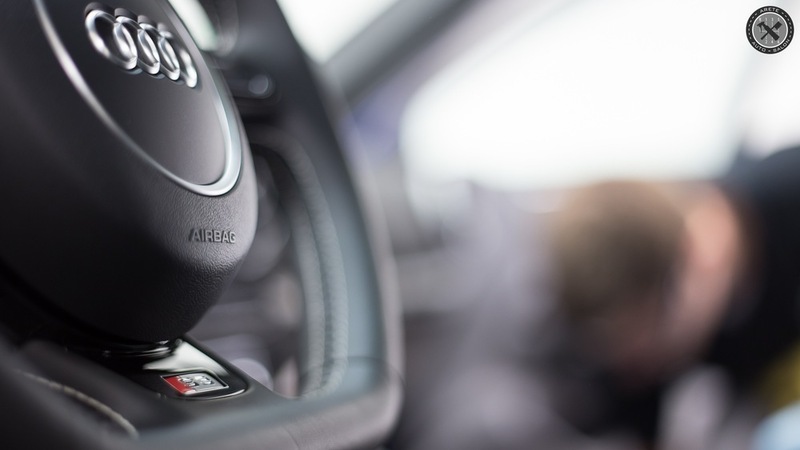 CQuartz Leather delivers unparalleled protection for interior surfaces as it serves to protect against dye transfer, staining, and UV damage while making the material it is applied to incredibly easy to care for. Even the steering wheel and shift boot were coated to provide complete interior coverage. 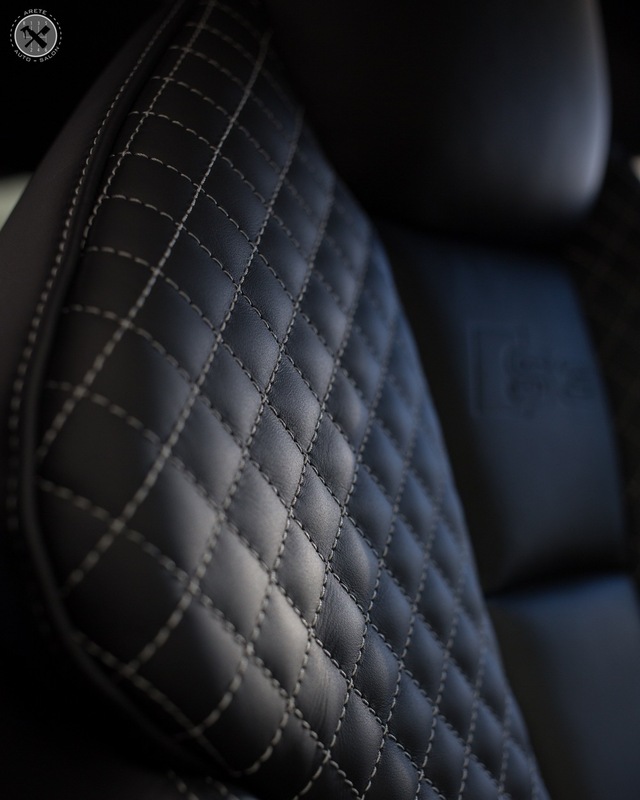 Working to apply CQ Leather to the seats and remaining leather surfaces. No stone is left unturned. Coating the rear portions of the seats. Posted on December 13, 2015 by Eric Potter and filed under write ups and tagged CQuartzFinest.